An exhaustive scientific report on the health of the coral reefs, shown to be critically important to the earth’s future, Coral Whisperers draws upon years of research. Through her in-depth interviews with one hundred coral scientists and managers, Irus Braverman developed a deep appreciation for corals, the role they play in the ocean’s balance, and the assault they face from human beings and climate change. 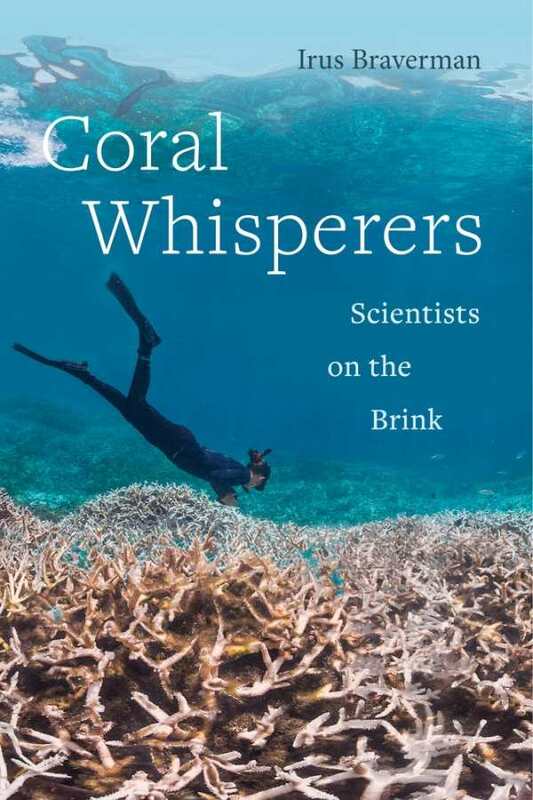 This book is the compelling story of corals and the scientists who work to protect them. The book deftly traces the evolution of the coral (an animal), explains the science behind it, and demonstrates the environmental perils that can cause it to bleach out and die. It documents the “pendulum” that swings back and forth between hope and despair. This aspect of Coral Whisperers is especially intriguing, since it bears witness to the gut-wrenching dilemma faced by coral scientists, several of whom speak of it in consciously contradictory terms. As Braverman observes, the same scientists who study the demise of corals seek out new methods of saving them from peril. One of the more sobering points raised in this eye-opening assessment is the reality that scientists, trained to be objective and dispassionate, must now “convey the message of corals to the rest of the world” in order to make their plight widely understood. Its extensive interviews with scientists show that they are human beings who have an emotional connection to the corals. Coral Whisperers is exceptional in its scientific detail but also in relating the personal stories of the scientists, or “whisperers,” who follow the lives of corals and invest their own lives in striving to preserve them. Just as important, the book is a stern warning that the earth’s oceans are in grave danger.